Paris Pastry: Orange Queen's Day Cupcakes! 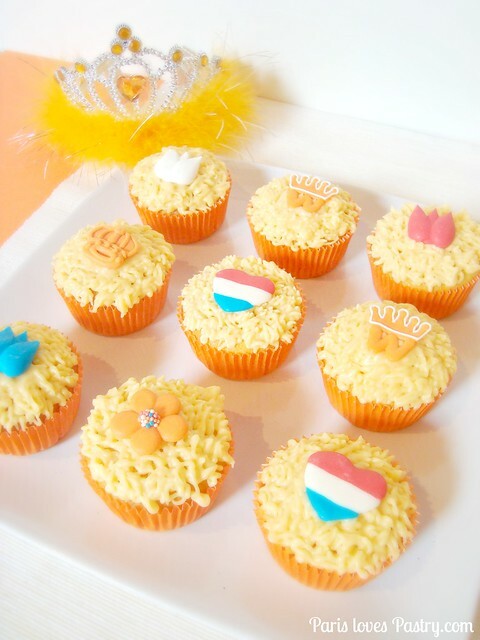 April 30th, otherwise known as Queen's Day in The Netherlands, is always a festive celebration. But this year, it's even more special because our Queen Beatrix, is descending from her throne and her son, Willem-Alexander will become our new King! We haven't had a King since 1890. 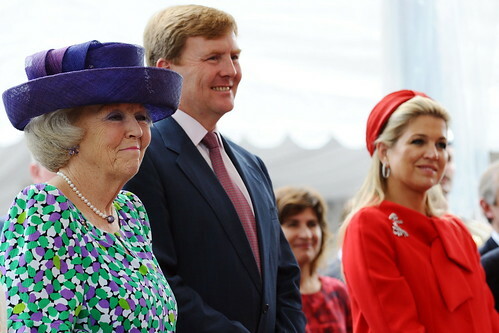 He and his Argentinian wife, Maxima and their three daugthers will lead new the monarchy in Holland. Normally I don't really care much for Queen's Day. But I'm actually heading to Amsterdam this year to celebrate it all day long. Amsterdam is turned into a sea of orange! Everyone dresses up in orange clothing, wears orange hats, carries red-white-blue flags, and is cheerful (read: drunk). I'm still debating whether to wear a traditional Dutch dress, or to go full out on accessories. I bought an orange tiara, red-white-blue nails, and have plenty of other things to wear! I might show you a picture later on. But for now, I baked these cheerful bright orange cupcakes to get in the mood! I used my go-to cupcake recipe from Magnolia Bakery, added orange zest and rubbed it together with the sugar. Added fresh orange juice from 1 orange to the batter, and made orange-flavored buttercream frosting. 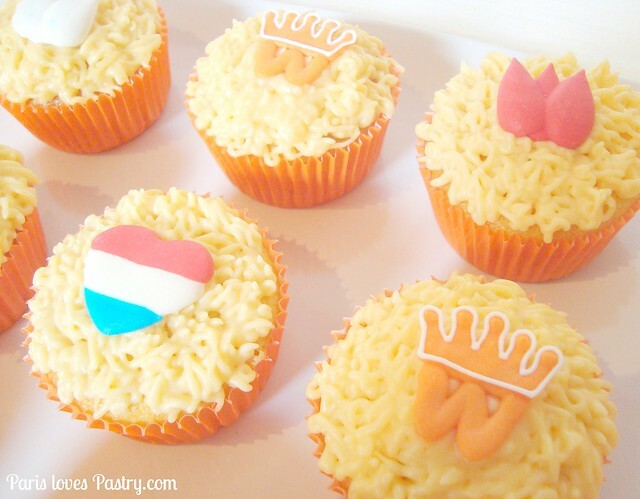 I decorated them with special Queen's Day sugar toppings and orange cupcake liners which I bought at the Xenos (Dutchies will know ;). Rating: 5 out of 5! - In a large bowl, on the medium speed of an electric mixer, cream the butter until smooth. Mix the sugar and orange zest together in a small bowl, and rub the sugar with your fingers until it is very orange. Add the orange-sugar gradually to the butter and beat until fluffy, about 3 minutes. Add the eggs, one at a time, beating well after each addition. Add the dry ingredients in three parts, alternating with the milk mixed together with the vanilla and orange juice. With each addition, beat until the ingredients are incorporated but do not overbeat. The fruity first bite made Summer all the more real to me. 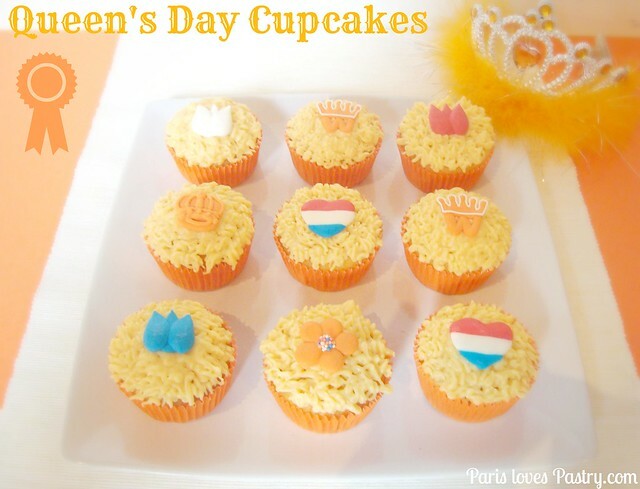 Orange is such a perfect flavor for Queen's Day! the Dutch flag & orange flowers á la Keukenhof. 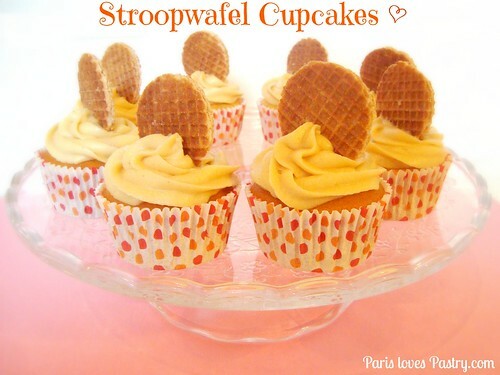 For other Dutch-inspired to make for Queen's Day, check out these Stroopwafel Cupcakes or this Dutch Apple Pie! These look delicious and cakes flavoured with orange (or lemon) are always a a favourite of mine. Added to my must-bake list! Cute decorations too.